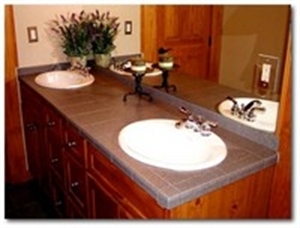 This highly rated national franchise remodels or installs custom kitchens, bathrooms and offices. The franchise repairs and restores bathtubs, tile and countertops saving homeowners ,schools, restaurants, property managers and hotels time, money and the mess of replacement. Their proprietary process has proven to be durable and effective since 1979. The franchise has not only been used in hundreds of thousands of homes and apartments, but in every major hotel chain from Disney to Hilton. Growing at a rate of 20 to 25% per year, their commitment to quality workmanship and superior customer service has earned the company the reputation as the nation's 'Preferred Refinisher.' In addition to refinishing and resurfacing, the business also will modify tubs for the elderly for easy access and install grab handles for safety. The elderly is a growing market segment. Customers save up to 75% on the cost of remodeling and only need a couple of days to get the job done. Interested Buyers must provide: Full Name Physical Mailing Address (no P.O. Boxes due to express mail signature requirements) Email address Phone Numbers and best time to call. We will respond quickly and keep you information confidential. No students or Brokers please. Location and Facilities: While new franchisees can open as a home based business, they should have as their goal, a showroom and shop as it is a key to their financial growth. Market Information and Position: The clear national leader. Extensive marketing and advertising tools. Featured on NBC's Today Show and many more. Proprietary products and procedures. Over 30 years of proven success. Easy to grow by adding technicians. You are the owner and are not intended to be out working jobs. Financing of up to 50% of the initial Fee by the franchise for qualified applicants. We can also help you unlock your 401K without penalties and with significant tax benefits. We can also refer you to friendly lenders.